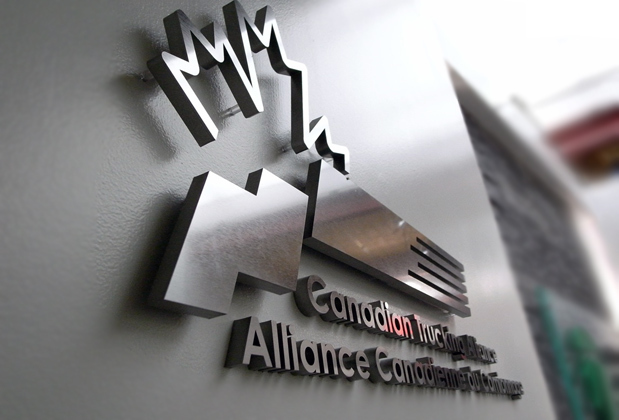 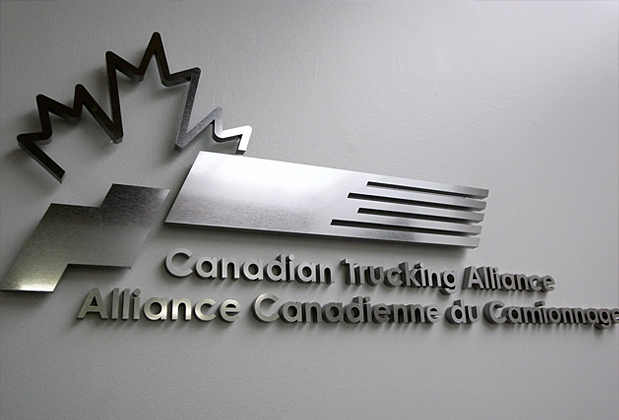 Corporate logo sign made of 1/2" brushed substitute metal faces and painted edges to match - customer Canadian Trucking alliance. 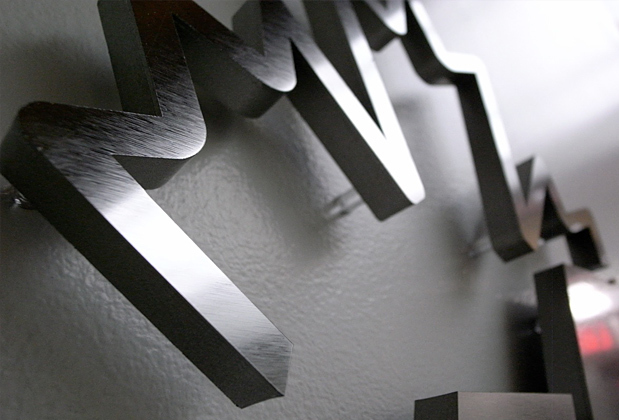 Another angle of the sign, Art Signs installation technique, with 1/2 spacers and direct to the wall installation. 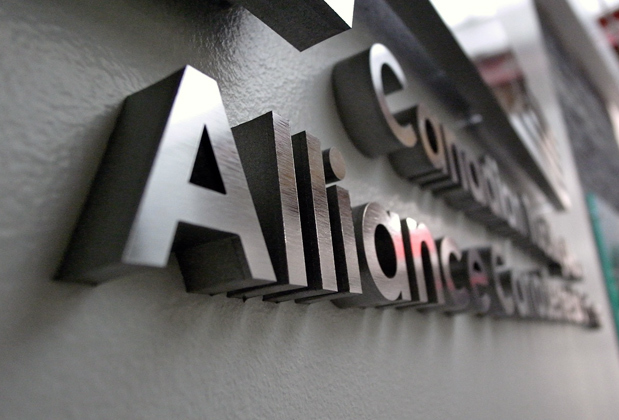 Closer view of the office wall 3d sign.